deeper and the entrance a long way around the point. of Velgi where the ferry docks. 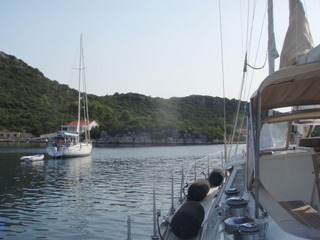 Both harbours are very attractive, heavily forested and crystal clear water.